We had a little taste of spring last week. Temps soared to an incredible 73 degrees, and we spent every moment we could outside. My windows were open, the sun was shining, and it made so excited for spring to actually be here. Don’t get me wrong, I love winter, but about this time of year I start itching for that lovely spring smell, for the flowers and trees to start blooming, and the temperatures to get warmer. 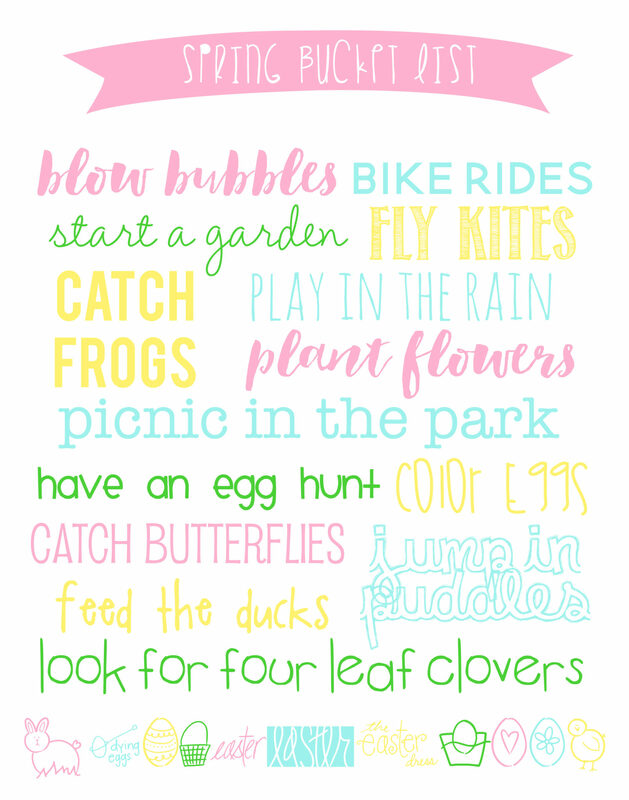 There are so many fun things to do in the spring, and I’ve created a super cute Spring Bucket List that shows some of our very favorites. 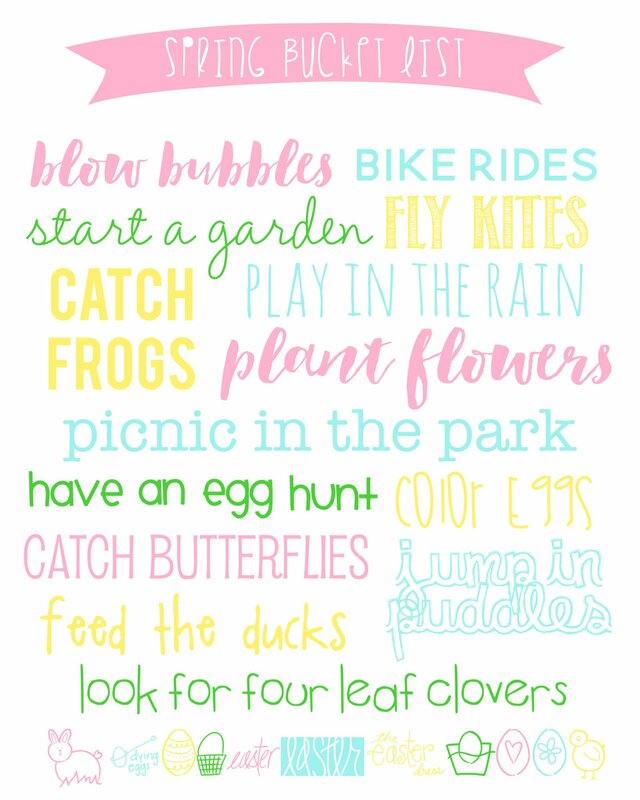 It means going for walks, picking flowers, leaving the windows open, breathing in the fresh air, Easter egg hunts, coloring eggs, baby farm animals, jumping in puddles, planting flowers, looking for four leaf clovers, feeding the ducks, catching frogs and butterflies, blowing bubbles, having picnics, going for bike rides, and so much more. 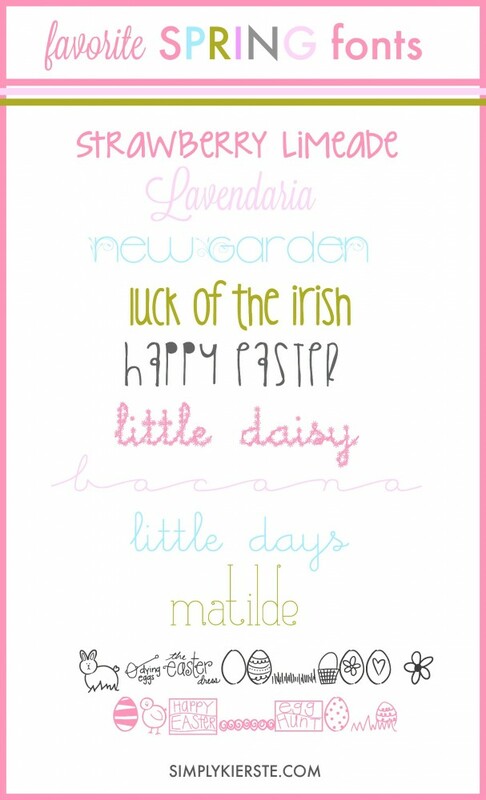 This super cute printable can be framed or clipped up anywhere–it’s adorable spring decor too! 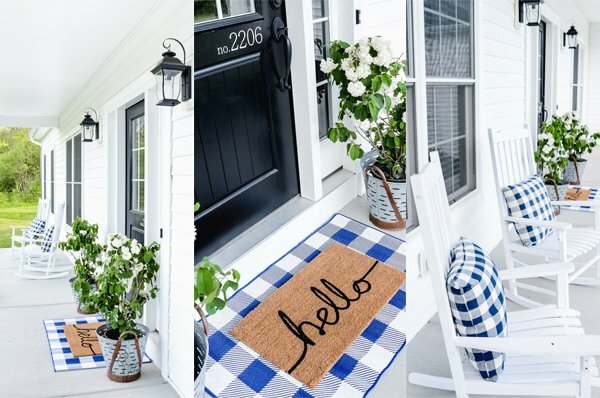 Download the printable, then get it printed as a photo. It comes in two different sizes–8×10 and 11×14. 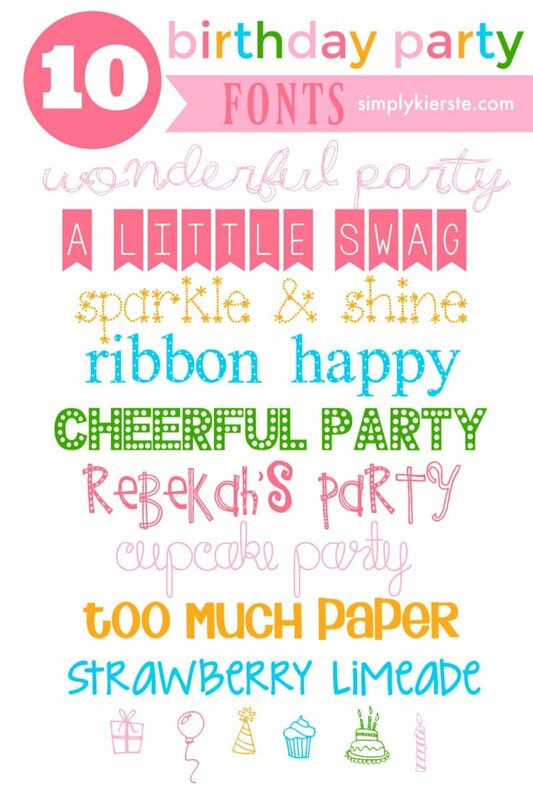 Do you love fonts too? Check out some of my favorites! I love your blog! Its all the little things that take it a step further. I have learned there are committed people and compliant. You are committed and it is a joy to be with you.